NASA experts calculate the odds of being struck this Friday by the bus-sized, de-orbiting Upper Atmosphere Research Satellite are 3,200 to 1. 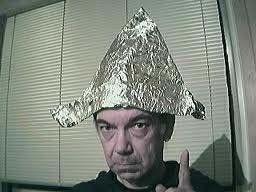 The odds of being struck -while wearing the KGB Orbital Shield Tin-Foil Hat- are astronomical, if you'll pardon the pun. Why take the chance? Just $9.99.